It’s not just another INNOVENTIONS exhibit. It’s an actual ride—an innovative and inventive ride. It might be the best thing in the whole history of INNOVENTIONS. 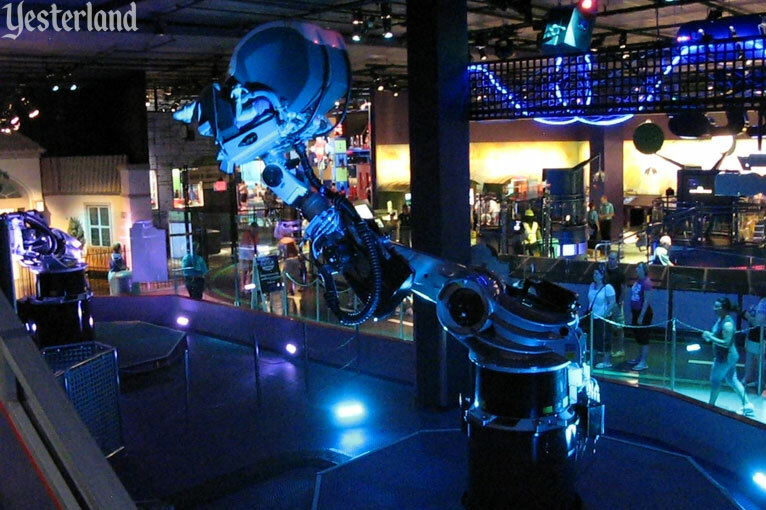 To simulate thrill ride motion, Sum of all Thrills uses KUKA robotic arms, created by KUKA Roboter GmbH of Germany. 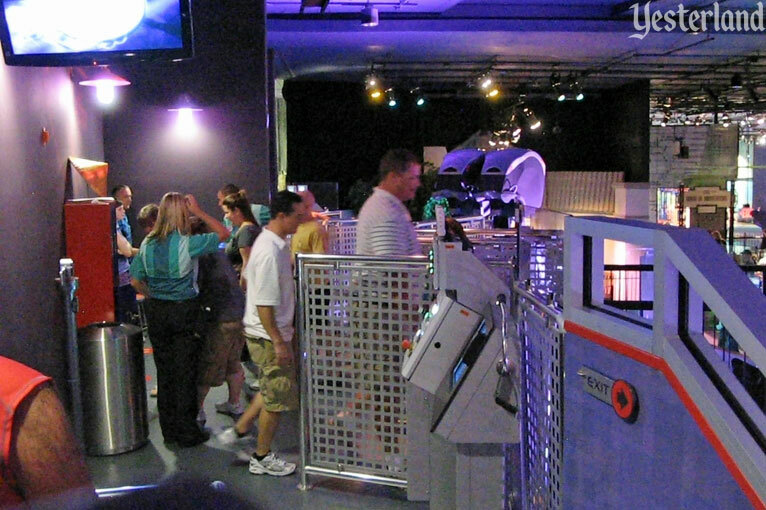 Unlike Yester Epcot’s Body Wars, where guests don’t see the exterior of the simulators, there’s no pretense here that the robotic arms are anything other than mechanical simulators. It’s fun to watch how the mechanisms function. 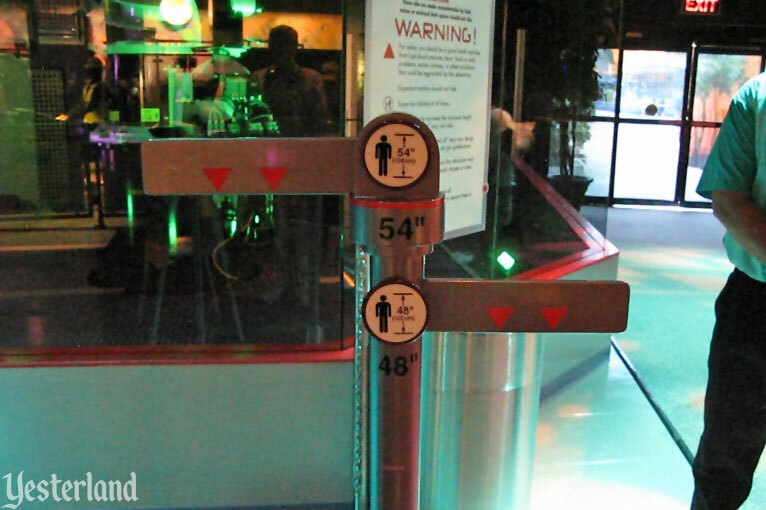 The minimum height to ride is 48" but a guest must be at least 54" to go upside-down. The warning sign has the usual thrill ride cautions: “For safety, you should be in good health and free from high blood pressure, heart, back, or neck problems, motion sickness, or other conditions that could be aggravated by this adventure,” along with the warning that expectant mothers should not ride. Before getting in line, guests can check if they fit into a seat and if the hood can be lowered properly. Are you ready to ride? Then let’s get in line. The line moves slowly because this is not a high-capacity attraction. 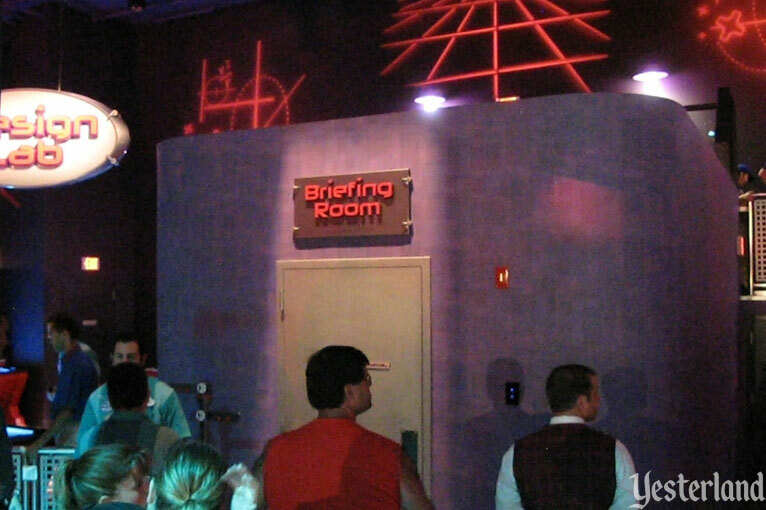 Once you make it into the Briefing Room, your attraction experience begins. A video in the Briefing Room provides a preview of what’s next, including how to design your own ride. 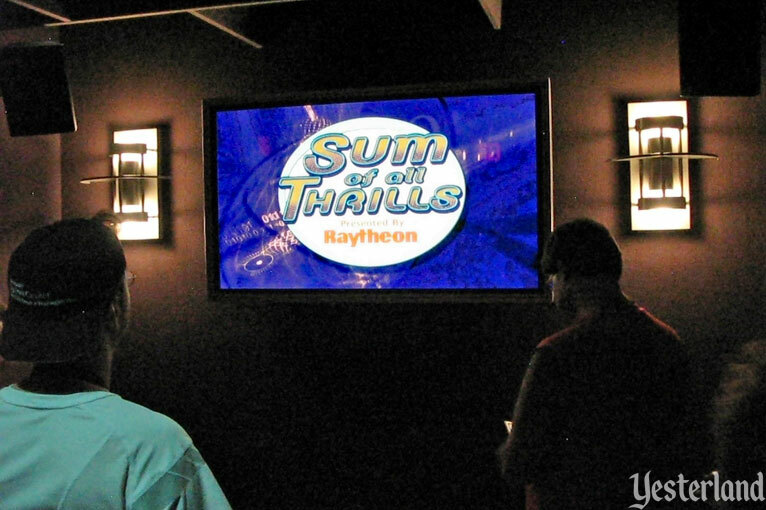 The video also attempts to help “instill a lifelong passion for math, science and technology,” which is Raytheon’s stated purpose for sponsoring the attraction. 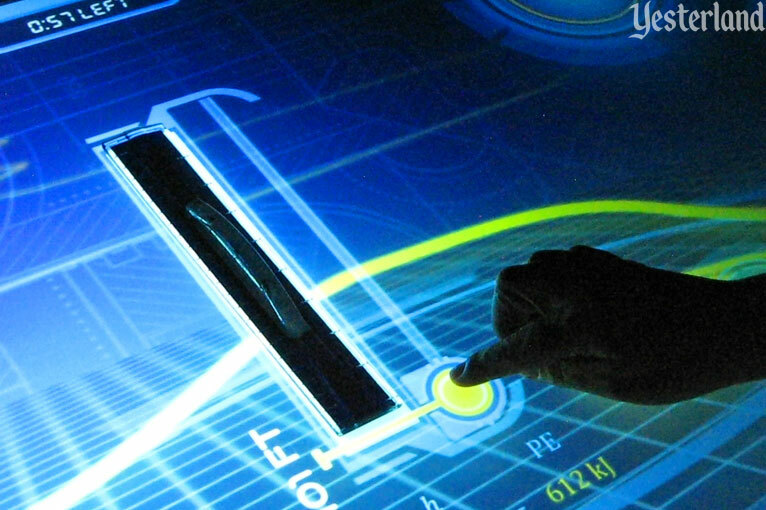 The Design Lab provides a well-designed interface to design your ride. You have the choice of a bobsled, a roller coaster, or a jet. The bobsled is considered to be the mildest; it can’t go upside-down. So maybe that will be your choice for your first experience at Sum of all Thrills. There are mathematic formulas all over the place. They’re probably legitimate, but you don’t have to be concerned with the underlying mathematics of your ride. You put together several ride elements, offering various curves and loops. For each one, you can control speed and various angles. A test button allows you to see if your ride will work—or if, for example, you can’t make it up a hill or remain on the track. It’s all fun and rather ingenious. Now it’s up to the loading level. There are four robotic arms. You need to wait for one of them to become available, and there may be other people waiting ahead of you. A video on the loading level provides practical information and keeps you entertained while you wait. There are lockers up here. You need to store your camera, purse, and anything that has any possibility of getting away from you. 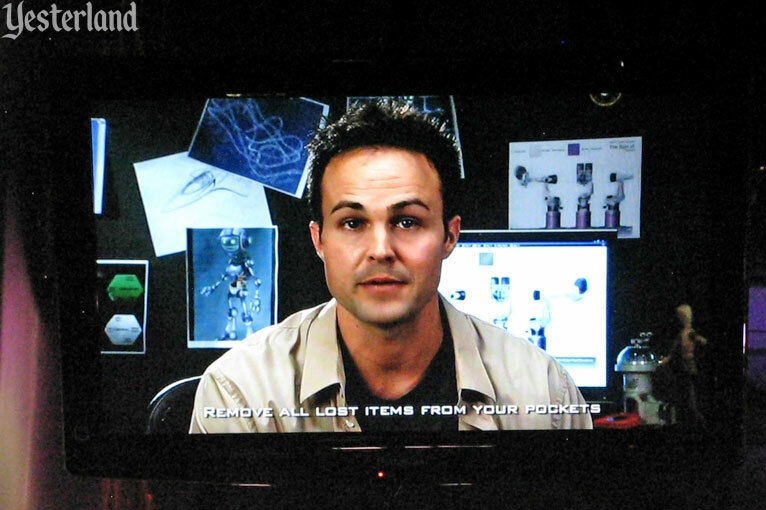 If something drops from your pocket onto the floor below the robotic arms, you won’t get it back until the next day. 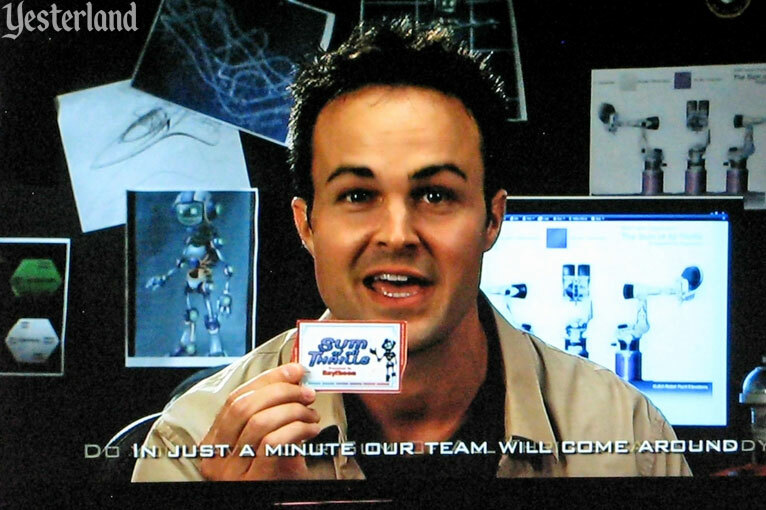 When you designed your ride, you received a plastic card with the data stored on it. You’re encouraged to keep the card which has the URL for Raytheon’s MathMovesU website, promoting middle school math and science. Climb into a seat. You’ll get a short explanation from a Cast Member. You’ll learn how to stop the ride if you need to do so for any reason (such as if you think you might lose the lunch that you just ate). You’ll also learn that, if there are two of you riding, you won’t be able to look directly at each other. But you will see the other person in a “picture in a picture” on the video screen in front of you once the hood is lowered. There’s now a video screen in front of your face. The ride begins. The moving image on the video screen perfectly matches the motion. The video is as smooth as the motion of the robotic arm. There are inventive little touches, such as going under an aerial ski tram if you chose the bobsled. The ride is over in around a minute and a half. Then, retrieve your things from your locker and head down the stairs… and get back in line to try the roller coaster or the jet. Sum of all Thrills is genuinely a thrill ride, but each rider can decide what threshold of thrill to go after. There are so many permutations that the ride can be quite different each time. 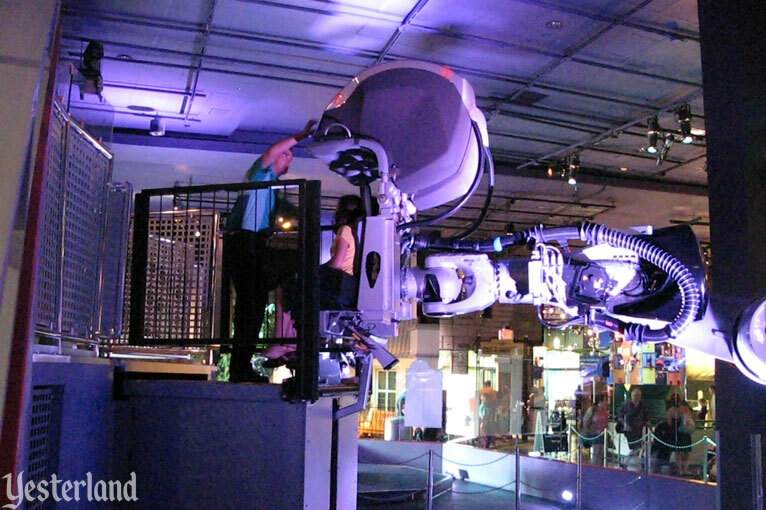 That means that unlike other INNOVENTIONS exhibits, this one can be enjoyed over and over. Some Disney fans might object that there’s a lack of immersion here. In other words, if you chose the bobsled, there’s no attempt to make you feel as if you’re at an Alpine mountain resort until the hood comes down in front of you. 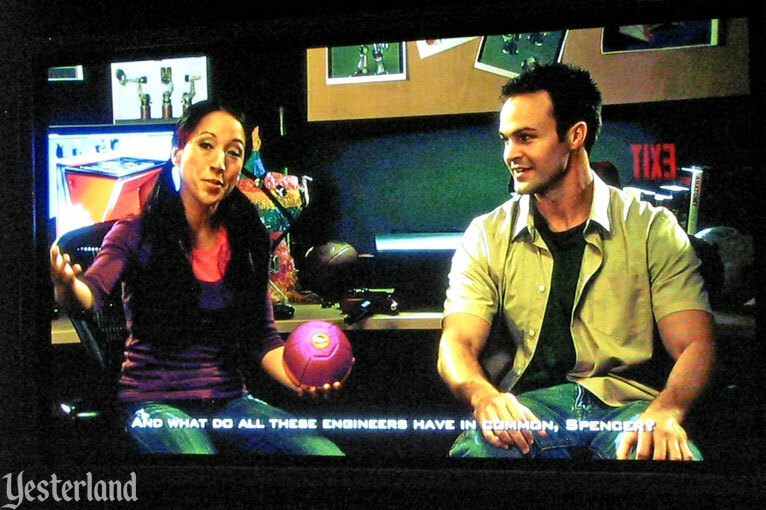 However, the theme here is engineering and simulation, not the activities that are being simulated. And this is, after all, an INNOVENTIONS exhibit, not a free-standing “E” ticket attraction. If there’s anything to criticize here, it’s the lack of capacity. 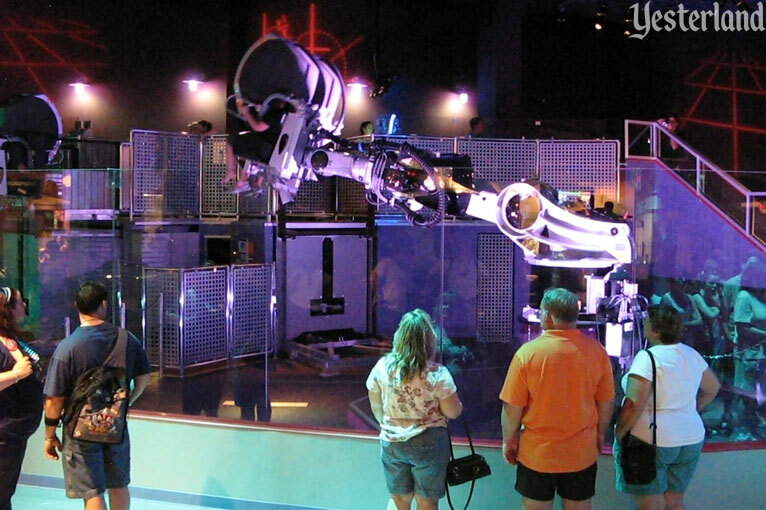 With just four robotic arms, each seating only two guests, and with a fairly lengthy cycle time between guests, Sum of all Thrills has an anemic rider throughput. One Cast Member estimated a capacity of 190 guests per hour. Also, INNOVENTIONS is normally only open from 9:00 a.m. until 7:00 p.m. The attraction itself is brilliant. 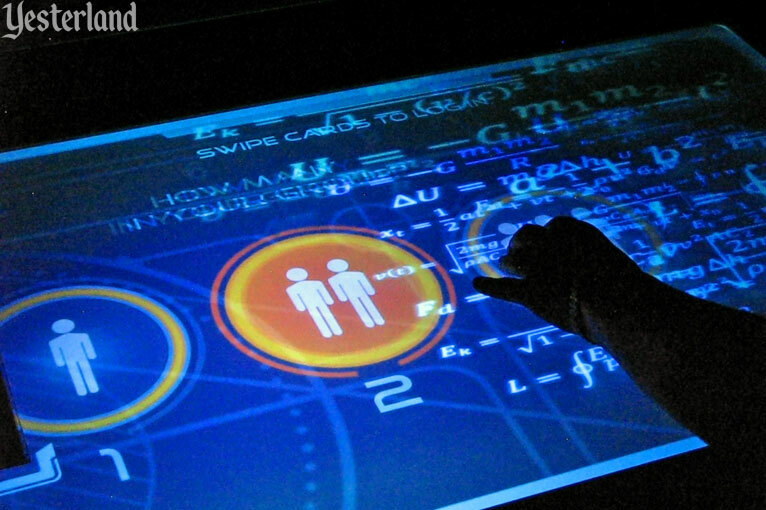 On February 9, 2009, Raytheon Company announced plans to open “an interactive, math-based experience” at Epcot in fall 2009. 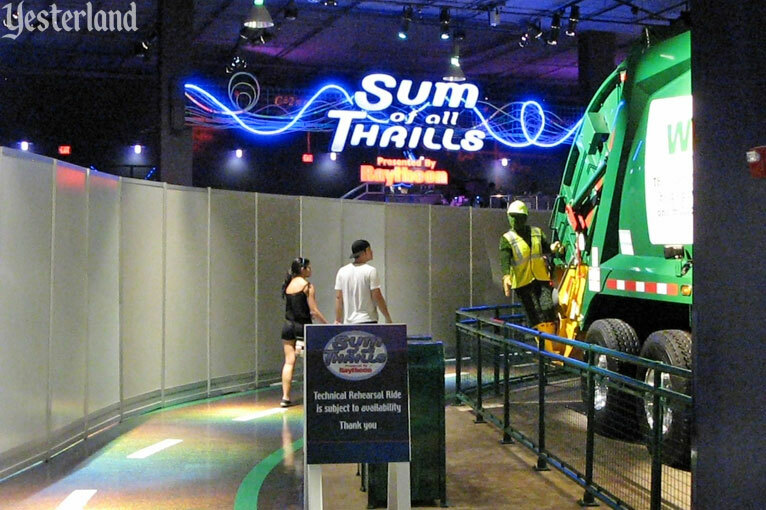 The location would be across from Waste Management’s “Don’t Waste It” interactive exhibit, where guests learned about “green” methods of handling garbage. Sum of all Thrills prior to opening. 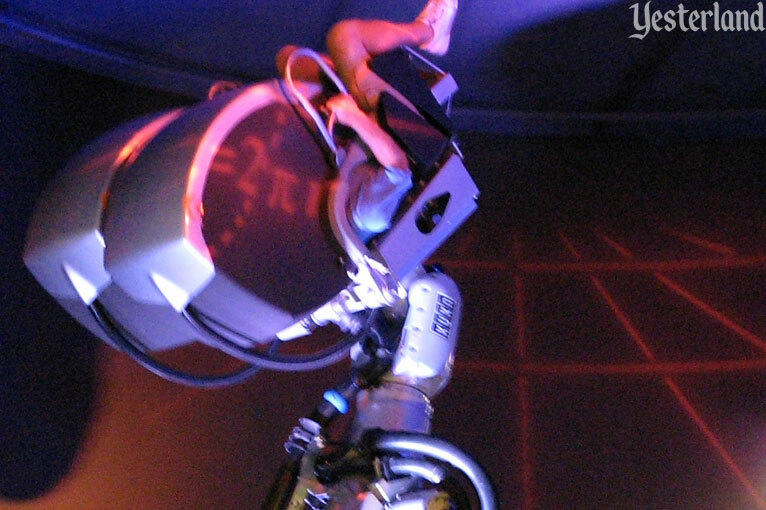 In spring 2009, word got out that Sum of all Thrills would use KUKA robotic arms. Epcot already had some KUKA robotic arms, providing the motion of the angler fish in The Seas with Nemo and Friends and serving as a robotic band at Rockin’ Robots in INNOVENTIONS West. 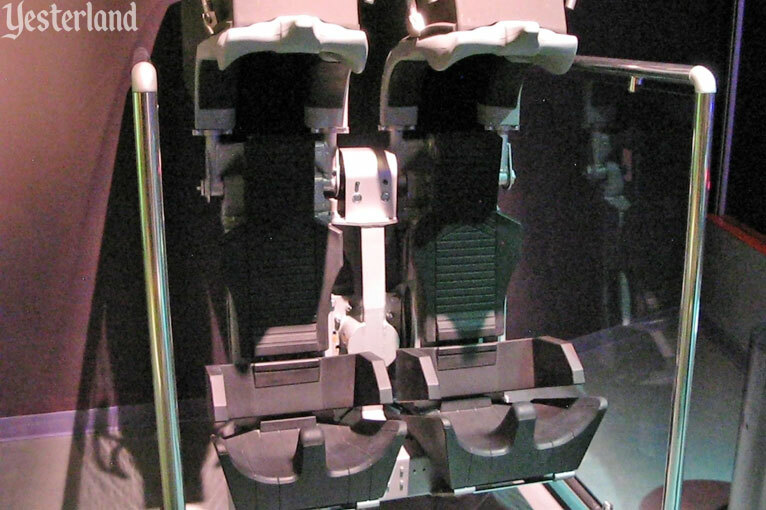 But this time, the KUKA arms would carry riders. 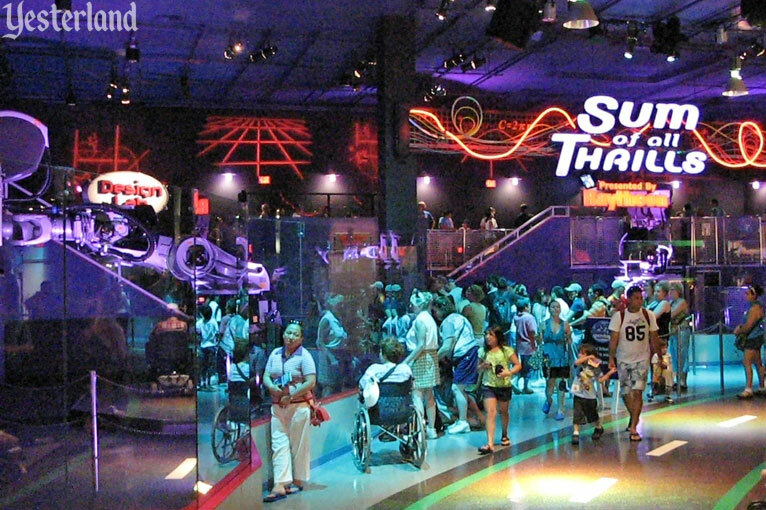 Suddenly, Sum of all Thrills became the most eagerly awaited addition to INNOVENTIONS ever. 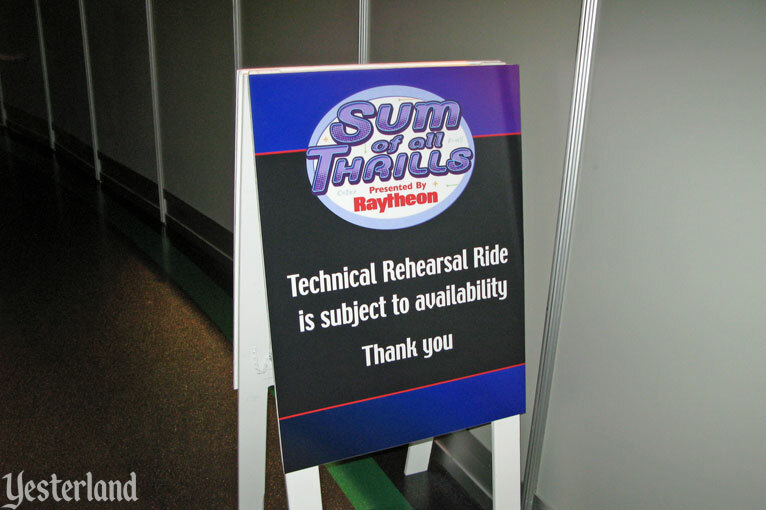 The grand opening of Sum of all Thrills was October 14, 2009, after a one-day soft opening. 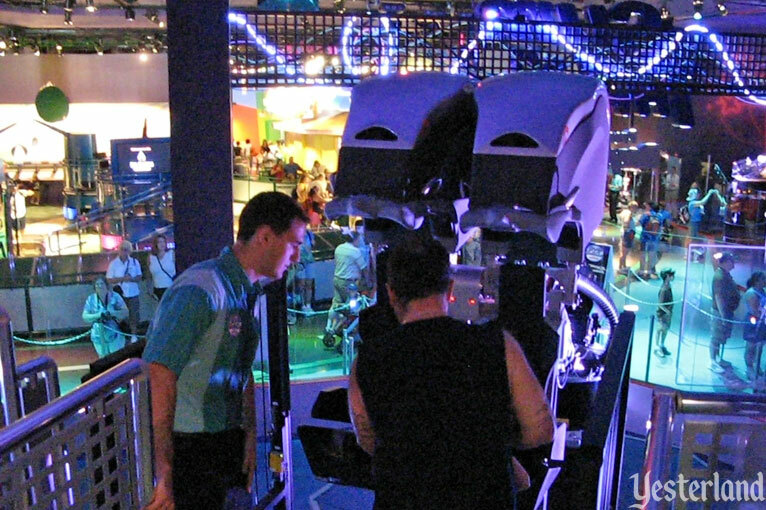 Despite its low capacity, the hidden location of Sum of all Thrills within INNOVENTIONS East kept lines reasonable most of the time. It’s likely many Epcot guests never knew about it. 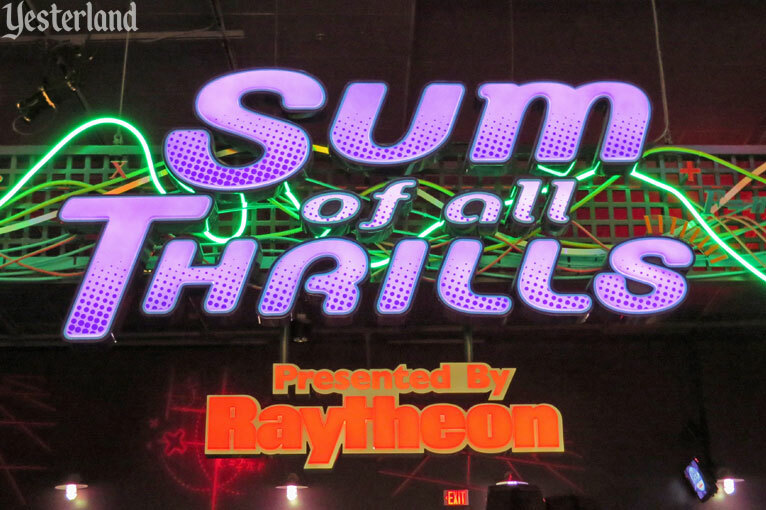 After a run of almost seven years, Sum of all Thrills closed permanently September 14, 2016. Another INNOVENTIONS East exhibit—StormStruck: A Tale of Two Homes, presented by FLASH (Federal Alliance for Safe Homes)—closed the same day. 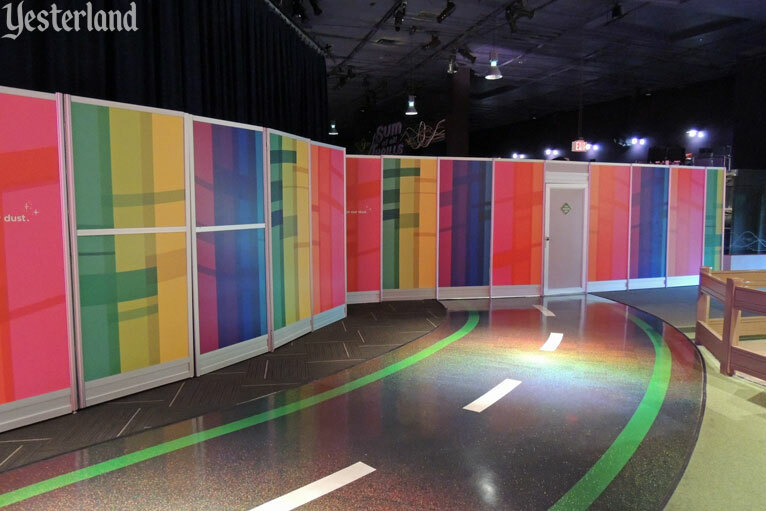 That left just one sponsored exhibit at Epcot’s INNOVENTIONS—Colortopia presented by Glidden—which only opened November 2015. The future of the INNOVENTIONS East and West spaces at Epcot has not been announced. It’s prime real estate.